Discussion in 'Transformers News and Rumors' started by Sol Fury, Apr 9, 2015. Combiner Wars Blackjack Car, with spoiler - aka the Rodimus car mode. I love this figure! I don't know about the upcoming Rodimus remold though. I would love to see this figure repainted as Throttlebot Chase. That would be cool. I also want them to do Runamuck and Runabout like they original intended. I'm hoping hasbro does a revision case with bombshell. He came and went pretty fast. For a Legends class, he looks aces. Kinda put off by that GIANT block of purple in robot mode that isn't broken up at all, but I'm sure Reprolabels can fix that right up and since the original Micromaster has a giant purple codpiece of solid color, it's passable. Too bad this guy is going to become the new RtS Windcharger with how hard it is to find him. I love this figure! I don't know about the upcoming Rodimus remold though. Yeah, this figure was recolored red and given the yellow flames deco and named Rodimus. Not sure about ordering that one though as I have no Hot Rod in my collection. 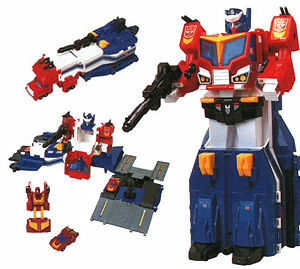 But seeing as how the CW line has both a legends-class and leader-class Thundercracker it makes me wonder if a larger Rodimus might show up down the pipeline at some point just because of fan outcry over him being nothing but a legends-scale figure while TC gets 2. Blackjack manages to look really good yet really generic at the same time. He's not boring, but he's not creative either. I think this guy is a FANTASTIC little figure. The only problem is that he falls out of Menasor with the slightest bump. Personally, I think Blackjack is one of the best new legends. Great car mode, awesome bot mode. Liek alil action figure in bot mode. And it looks great as the lil G1 "roller" on Menasor's chest. He's a wicked little dude. I'm amazed that we haven't seen a slew of Battlecharger customs made from this mould though. It's practically begging for it! Why,,, exactly,,, did they change one of the Stunticons again? Blackjack is a great little Legends figures. I don't understand why the Masquerade homage Autobot combiner team uses the mold as Rodimus instead of someone who'd actually fit, both scale-wise and time-wise, like Bumblebee or Cliffjumper. The only semblance it has to Rodimus is that when the weapon is pegged into the vehicle mode, it's sorta shaped like him. Other than that, it looks completely different. Can't wait for this guy to show up at my door. He looks like he's going to be one of the "really hard to put down" ones. Thanks for sharing the pics! Because they didn't want 3 of the Stunticons to be the exact same mold? I haven't read the comics yet so there may be a fluff version too. This guy Matt Booker has the best fan mode transformation for Blackjack as a chest plate for Menasor that I have come across. Vastly superior to the original method and locks in Blackjack securely. Check it out...hopefully it helps. I just got him and huffer last night. I love both of them. on my blackjack, when transforming to chest piece mode, it is a little hard to get the axe into place. I just got huffer on a whim, but I am surprised at how much i like him.